Pig producers have been told retaining more young sows is vital to their overall herd performance and to improve financial gains. More than 30 independent producers came together for Gilt Watch, an AHDB Farm Excellence initiative, which held its first meeting in Leamington, in Warwickshire, last week. All attendees were looking to improve physical and financial breeding herd performance – with the typical cost of rearing each gilt estimated to be around £250. The overriding message from the event was that it’s vital to put in the groundwork early on to ensure gilts get past their first or second parity and reach their full lifetime potential to get a return on that investment. Lisbeth Shooter, Senior Manager of Pigs at SEGES – the Danish Pig Research Centre, told the Gilt Watch group about a similar project they ran in Denmark. Pig production consultant Stephen Hall also spoke at the meeting, explaining how existing data can be grouped and analysed differently to identify opportunities for improvements. He said: “The number of sows typically lost during five parities can reduce a herd’s number of pigs weaned per sow per lifetime to 16 to 20 pigs below their full potential.” Mr Hall emphasised the need to increase young sow retention to realise more of that potential. The Gilt Watch producers are going to be monitoring individual performance from groups of gilts, implementing changes and meeting twice a year to review progress. 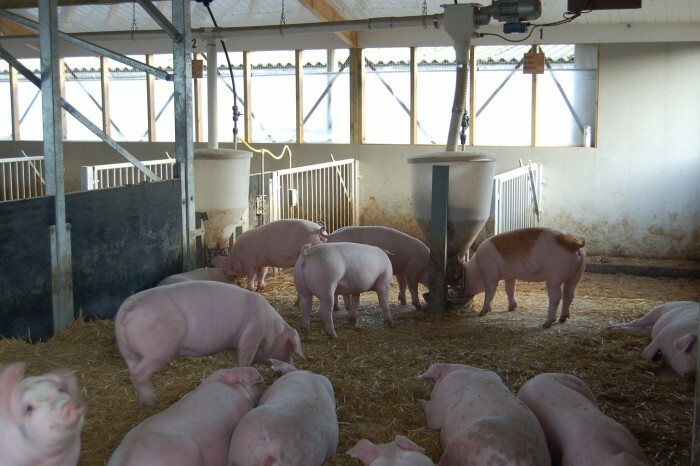 The project will monitor and work with around 25,000 gilts over a two-year period, with progress and results being shared across the industry.